Stuck on what to get the ladies in your life this Christmas? Why not give them the gift of beautiful hair!? You might think it’s tricky to buy hair extensions online, and especially for someone else. However, with Cliphair’s Colour Matching service, you can easily find the product that will perfectly suit the lucky lady. All you need to do is send clear photos to advice@cliphair.co.uk, and our stylists will be able to recommend an accurate match, and the extensions that would best suit your loved one. These are the ultimate must-have for any girl who dreams of looking like a celebrity, with long, luscious Kardashian-esque locks. These extensions are cleverly made with two wefts securely sewn together, giving you twice the amount of hair, with the same number of pieces! These extensions are super thick, and guaranteed to turn heads. These extensions are made from the finest quality Remy human hair – which is AAA grade (wonderfully soft and silky!) and can be treated just like your own hair. You can straighten, curl, wash and dye these to achieve whatever style you desire! The double wefted extensions come in anything from a modest and natural 15″ to a flowing 24″. Receiving thes e for Christmas is bound to put a smile on any girl’s face! 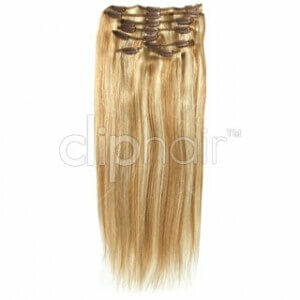 The double wefted extensions start at £54.99. If you’re looking for a gift to give an image conscious, stylish lady, look no further than our clip-on human hair ponytails. Do you know anyone who is constantly in a rush in the morning? Or someone who loves to look their best but doesn’t like to spend hours getting ready? The Cliphair clip-0n ponytail is the perfect solution for them. These gorgeous 20″ long ponytails are super quick and easy to apply, transforming your look in minutes with minimal effort! As with all the products available at Cliphair, the ponytails are top quality Remy human hair, making them really soft, shiny and silky. You can style the ponytail just like your own hair, so whether you like a severe slicked back pony, or a loose curly ponytail – it’s easy to achieve the look you love. Our clip-on ponytails cost £49.99. Every now and then, it’s great to have a change. Nearly all of us can relate to having a haircut which is instantly regretted after making a flash decision – why not test out a new hairstyle first before taking the plunge at the hairdressers? 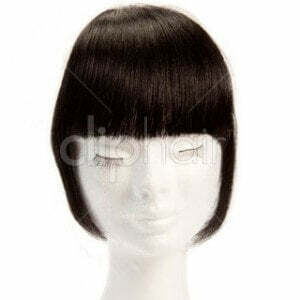 Surprise your friends and family with a clip-on fringe, a look favoured by style chameleon Kim Kardashian. Kim loves to trick people into believing she’s had a new fringe cut, before removing the fringe the next day! Our clip-on fringes can be styled like your own hair, whether you’d like a side fringe, or a centre parted one. Best of all, they’re only £15.99 – the perfect stocking filler! These are perfect for the fashionista who loves to keep on top of the latest trends. With our dip-dye extensions, you can easily get a stylish dip-dyed effect without using any hairdye! These come in a range of gorgeous shades, from shocking pink tips to a classic ombre style. As with all of our products, these extensions are made from luxurious Remy human hair. Our dip-dye extensions are 18″ long and double wefted, giving you a boost of both thickness and length! Choose from our more head turning red tips, to our pretty highlighted shades. These extensions are priced at £69.99. Want to spoil your loved one with the gift of gorgeous hair without breaking the bank this Christmas? Our classic full head extensions are the perfect solution. These extensions are reasonably priced and will add length to your hair, giving you a gorgeous glamourous look. We stock over 45 shades, and lengths from 15″ all the way to 26″, meaning there really is something to suit everyone! The extensions can be washed, straightened, curled and styled just like your own hair. They should last around 6-12 months, so you won’t need a new set until next Christmas! These extensions start at just £34.99. What has caught your eye from our Christmas gift guide? We’d love to hear what’s on your Christmas lists! Would love these! Been saying all week think I should get extensions and now this think it may be a sign. 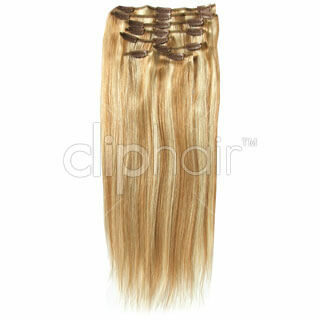 Clip hair extensions are no1 !!!!! From glued-in to wefts and cliped-in everything is perfect. If i won, id like that to be the double wefted extensions as my hair are very fine and very little and i would love to have thick long hair 🙂 . Happy holidays to all!